Maybe you’ve already decided that 2019 is going to be better (or even better!). Maybe you’re feeling a bit wiped out by the last few years. 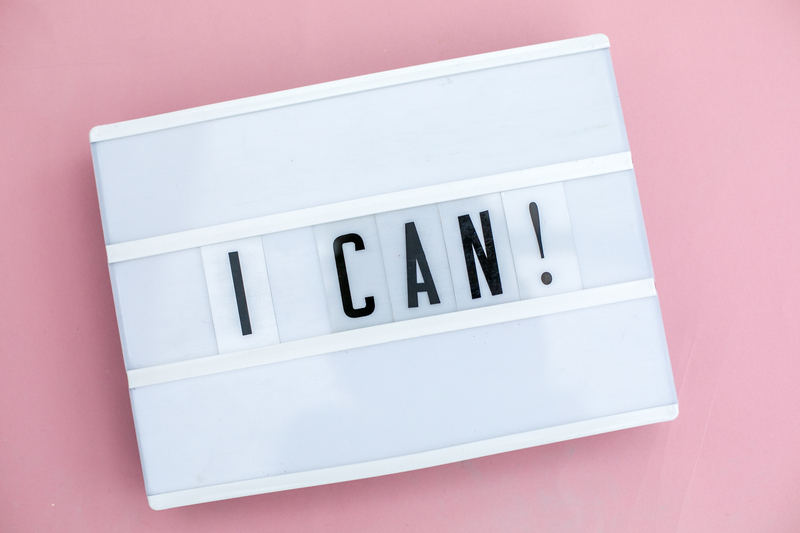 Either way, I hope these self-care tips for your mind, body, heart and soul will help you find new ways to support yourself – as well as remembering resources you’ve found helpful in the past. It’s less about upping the pressure with resolutions and more about using your whole self to do what’s right for you. In Japan, an end of year big clean is traditional and, even before reading about this in one of Marie Kondo’s delightful books, I’ve been doing this the past few years. I feel compelled to release as much of the old, stagnant energies as possible to make space for freshness, newness and wonderful new opportunities. If this appeals, rather than exhausting yourself trying to do everything on NYE, you might want to start early. Make a list or mind map to help you mentally contemplate every corner of your home and shine some light into potentially neglected areas. As you do this, you can also think about the other, less tangible things you’re ready to let go of, ready for the new year. Which old habits no longer serve you? Which beliefs get in the way of the life you’d love to be living? You might want to make a list of everything you feel ready to release and either burn it (safely) or use biro on loo roll and flush it all away. Once you’ve created some mental and physical space, you can think about what you’d like to bring into your life. Similarly, when you imagine 2019 and beyond with the habits and beliefs that you’ve started to release out of the way, what feels more possible? What feels exciting about this new year? I write a letter to myself each NYE. I start with a long list of things I’m grateful for from the year just passed (including lessons learned from some of the more painful elements where I’m ready to do that). Reminding myself that everything is simply information helps release some of the charge around it. I can be curious about what’s happened and what I’ve done, hopefully moving forward with more insight. Then I write a similar list to the ones I make each new moon, setting intentions for the whole year ahead instead of just that lunar cycle. I pop it in a card for myself and label the envelope so I know to open and read it next New Year’s Eve (storing it with Christmas decorations so I don’t lose it). How might it feel if, instead of the usual resolutions, you prepared to start 2019 by letting your body know you’re ready to get better at listening to its wisdom? If, instead of beating yourself up with resolutions where you try to bully it into submission around food, drink, smoking and exercise, you give your body a mental (or, if you’re alone, physical) hug and say you’re ready to pay attention? Making yourself as comfortable as you can, start by noticing your breath. Are you breathing from the top of the lungs? Middle? Lower? How does it feel to deepen the breath? What about having a slightly longer exhalation? You can count if you want (in for 1 and out for 2 or 3 or in for 2 and out for 3 or 4) but simply getting a sense of deeper breaths and longer exhalations will begin to activate the parasympathetic branch of the autonomic nervous system, activating the rest/digest response and helping you feel more relaxed and resourceful. With practice, this simple tool can rewire your brain and help you retrain your nervous system. For now, simply notice how you feel. Then scan your body from top to toe. How does it feel to lengthen through the spine? What do you notice as you connect with each part of your body? What happens when you ask if these parts of yourself have any messages for you? How do you feel when you start thanking each body part for what it’s survived (including some pretty harsh self-talk)? From this more compassionate vantage point, your resolutions may feel far friendlier (nap more?). What do you notice? Getting your list out from the Mind exercise, how does it feel to reread it and notice how your heart feels? Does it lift or sink? Are some of your intentions more for others than for yourself? What would make your heart sing? Who do you most want to connect with? What do you actually want? Give yourself permission to connect with your heart’s desires and notice how it feels. What helps you connect with that expansive part of yourself? Your ‘true self’, Higher Self, Self (in psychosynthesis), Miraculous Self or whatever you want to call this limitless part of you. That part that’s more than whatever you’ve been through or are facing. If you imagine creating a spa for your soul, what might that involve? We’re all so different, let yours speak to you. Connecting with this innate Divinity that we all have access to can help our lives unfold in ways we could never have dreamed of for ourselves. Do you crave more time in nature? Community with others? Music? Art? Let yourself connect with this part of yourself that knows exactly what you need and honour it by scheduling time for these soul soothing activities or rests as required.